Suhita inspired me to participate in InkTober. An ink drawing every day in October. How hard can that be? 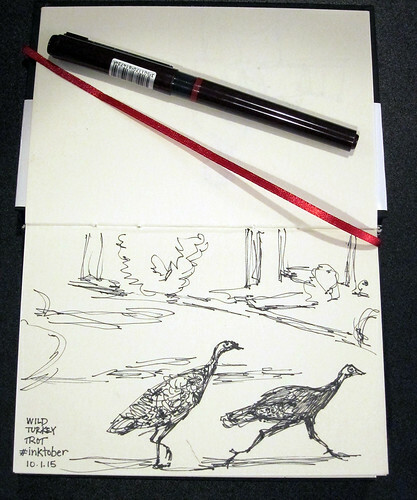 Today I chose to draw wild turkeys. There are several of them around our neighborhood. That front turkey looks like he knows Thanksgiving is coming. lol Good sketch. I hope you make it through the month. I'm doing it too.